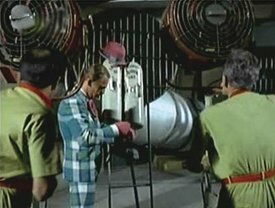 Frank Gorshin two-piece plaid suit worn as "The Riddler" in the very first Batman episode, "Hey Diddle Riddle". 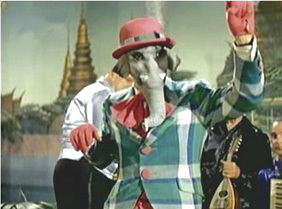 (ABC-TV, 1966-68) Two-piece plaid suit in a colorful comic-book palette of green, pink and baby blue stripes with large hot-pink buttons, as worn by the late Frank Gorshin in the historic first Batman episode, "Hey Diddle Riddle" (originally aired January 12, 1966). In this episode, Custom tailor label within the jacket reads, "Frank Gorshiner [sic], September 1965."